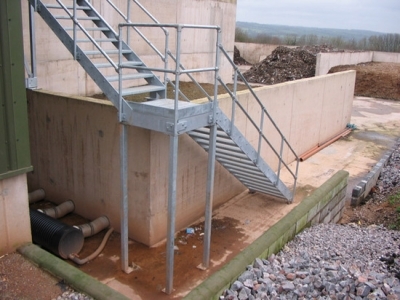 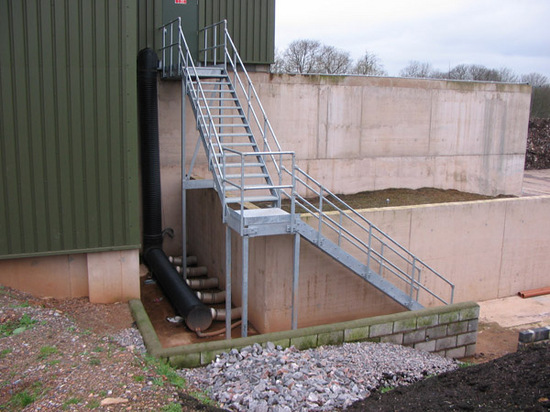 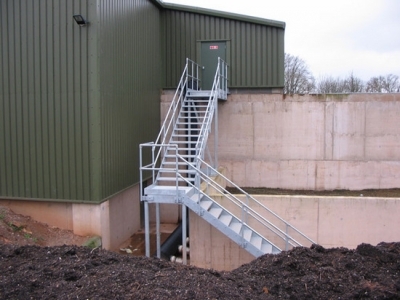 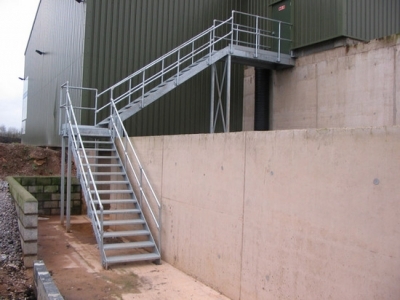 This staircase was produced using an excellent design of stair tread and walkway surface, regardless of the weather, or if you have muddy footwear the surface remains no slip. 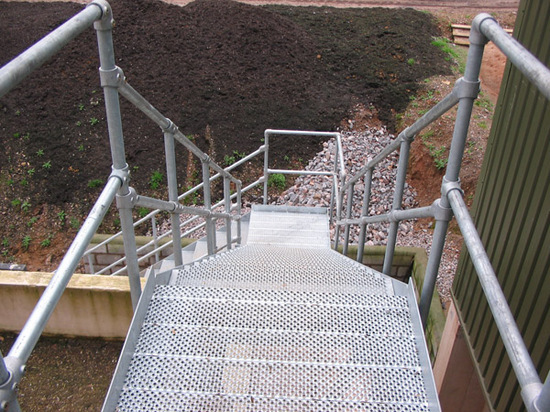 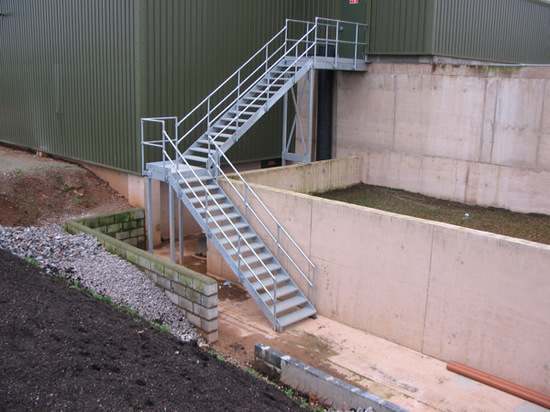 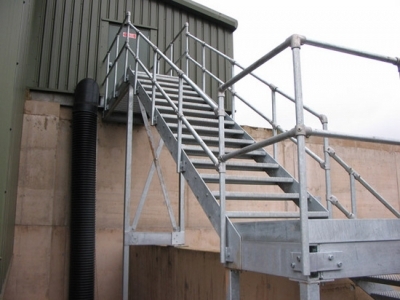 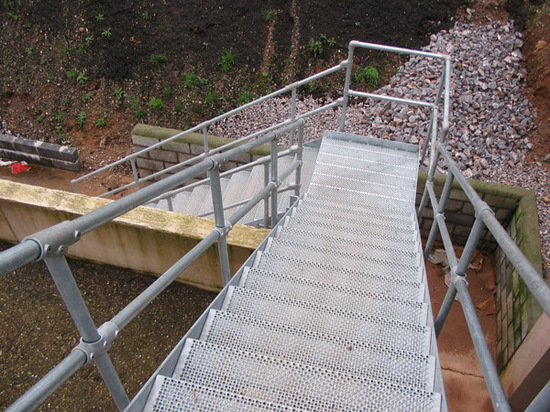 We have used these treads and walkways on a variety of different applications in place of standard chequer floor plate which can become slippery when icy or when green algae builds up where water collects. 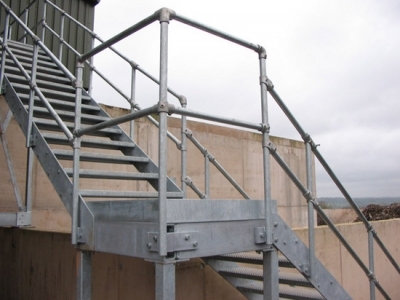 The fabrication was carried out in the workshop, where we worked from 3D cad design drawings. 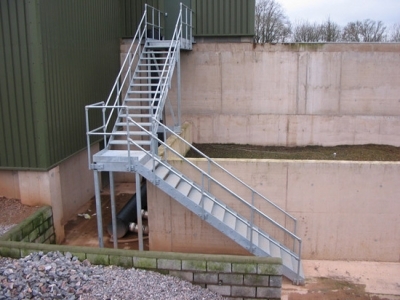 The design was produced following a Structural Engineers Calculation of the correct material sizes for the application. Although we always work from Structural Engineers Calculations, they were vital as the stair was positioned one sided on to the joining wall using a cantilevered design due to space restrictions. The staircase was assembled on site like a meccano set.